We all enjoy eating an evening meal out with our family and friends from time to time. However, when you eat out frequently it can become an expensive habit. Therefore, it is more pleasant and healthier for the wallet to shake up your usual dinner routine and to host a dinner party at home instead. It may seem daunting if you have not hosted any event beforehand and you may be worried about the stress and organizational skills required. But fear not, as after you follow these five simple tips, you will feel far more prepared and ready to take on the challenge. Once you have hosted a dinner party a few times or more, you will learn what works and what does not and you will become more efficient in your planning skills and in your preparation abilities. So let us now take a look at how you could go about hosting a wonderful dinner party at home. This is the first and most important step to hosting a successful dinner party. Plan the date, time and number of guests that you will invite. Think of your room size and if you have enough chairs, place mats, plates, glasses and cutlery for everyone. After this, you need to think about your menu and if it will be themed for example. 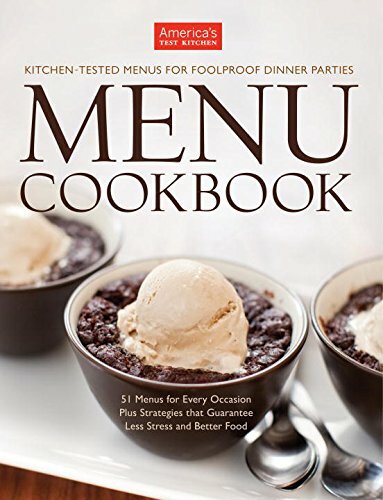 Consider the foods you are comfortable cooking as it is always advisable not to try out new recipes for a dinner party unless you have practiced them first, as you would not want to put yourself under any added pressure or stress on the night. In terms of the invites, find inspiration for designs online and always consider your guests' dietary requirements. Request to know this information in advance by mentioning it on your invites as it may strongly influence your menu choices. Once you have sent out your invites and you have the guest numbers confirmed, you need to come up with a menu that is both simple to prepare in advance and one which will also cater for a wide variety of tastes. To achieve this, you need to know what sort of meals your guests enjoy. Dishes such as paella, curries, stews, lasagne or other rice or pasta based dishes often work very well at dinner parties because they can be made into large batches very easily. Soup as a starter is easy to prepare in advance and desserts such as apple crumble, tiramisu or fruit pies can also cater for a larger group of people. Make a list of all the ingredients that you will require in advance as this will save you time. Always defrost any meat you may be cooking with the night before if possible and dishes such as tiramisu would also be best made the day before your special dinner party. Preparation is the key to allowing you to relax on the day and to lower your stress levels so that you can also enjoy yourself and therefore be a better host as well. If you also need to write down the order in which you will cook the food then do so and put this in a visible place in the kitchen. In addition, putting post-it notes on cupboards and making a check list can help remind you of your cooking steps too. It is crucial that you are always aware if any of your guests have any allergies or special dietary requirements. To make sure of this, place a note on your invite cards for your guests to let you know this information prior to the event. This way, you can make sure you check your ingredients and any bottles or tins of food in advance. Then you can plan your menu to work around these requirements so that all of your guests can be happy and healthy as well as confident in your attention to detail. When you start to plan your dinner party menu, you may wish to consider how well all your dishes will go together. For example, if you have planned a pastry dish in the first course and also in the dessert, then you may want to rethink this as it could be quite heavy for your guests. A good way to combat such issues as this is by having a themed menu. A Spanish theme with tapas and churros for dessert would be delicious and would be likely to please all your guests. An Italian menu would perhaps contain easy to prepare pasta dishes and rich creamy desserts. An Indian themed menu would contain samosas, onion bhaji, hot and spicy curry main dishes and perhaps a cooling mango lassi to finish off the evening. Base your menu around a theme and you will not only find it easier to make your food more delicious and palatable in combinations, but also your guests will find it easier to navigate your food choices. Besides making the invites, this is the part where you can get really creative! You may choose to have a theme with your invites and name place cards if having a more formal event. You could watch a You Tube tutorial like the one below for how to fold and create different napkin designs. This shows you have put a lot of thought and effort into your evening and your guests will appreciate these small touches. In addition, do you want to have ‘table confetti’ or gemstones on the table? These can look beautiful among the table layout and would certainly set a more sophisticated tone. Using fruit, leaves, berries or candles as center pieces can also be a lovely way to add a hint of elegance to your table, and even wine glass charms can add a personalized touch as well. The invites you send out to your guests for your dinner party will certainly set the tone for the event and will assist in letting them know whether it is going to be a formal or informal evening. You could specify on the invites if there is a dress code but this will depend on each individual host’s preferences. For a more formal event you may want to create a mix CD to play in the background and you could even match the name place cards to your invite theme, for example through using the same colors, patterns or stuck on gem stones. For a more informal or relaxed and casual evening, you would perhaps wear jeans and a shirt or a simple and elegant dress. In terms of background music, you may wish to have the radio on. 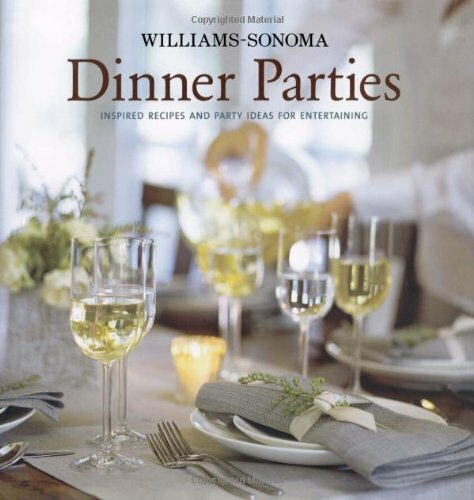 These are just some ideas for your dinner party and remember that you will enjoy your evening far more if you have prepared and planned the event in advance, even if you are only having an informal gathering as the whole event will run more smoothly and will be a lovely evening to remember.